Have you ever gotten that feeling when something’s telling you to drop everything and go for a well-deserved vacation with your loved one to somewhere where you can get away from it all? 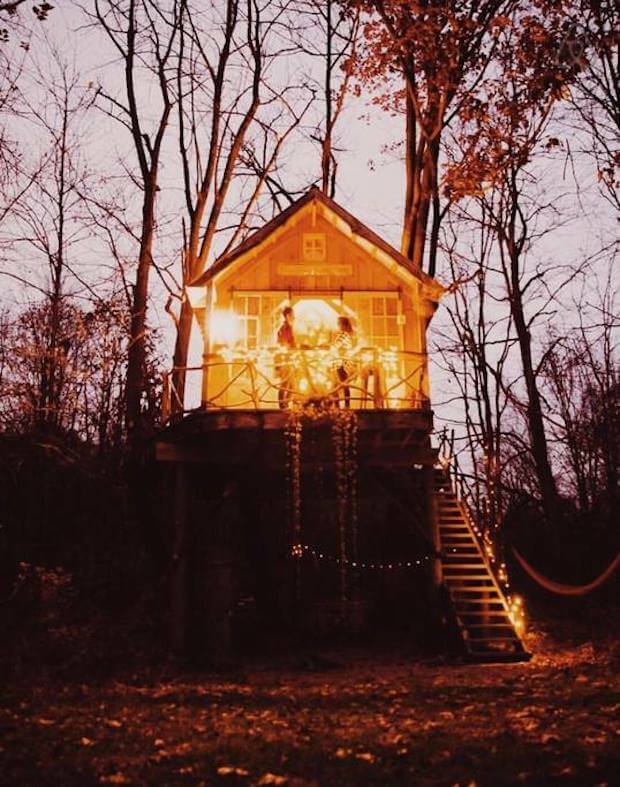 Well, that must be the Whispering Wind Treehouse giving you some ideas. 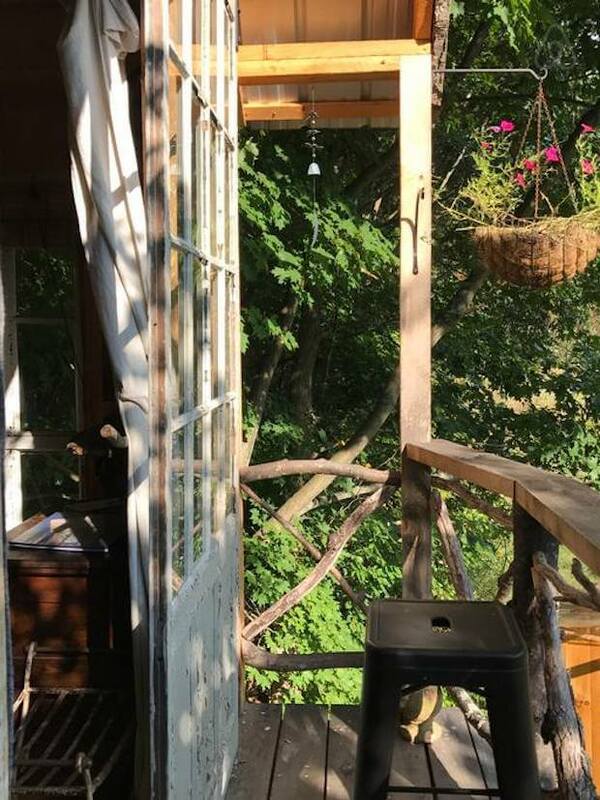 Located in Argyle, New York this beautiful tiny treehouse atop the lush woodlands will provide a serene experience for guests. 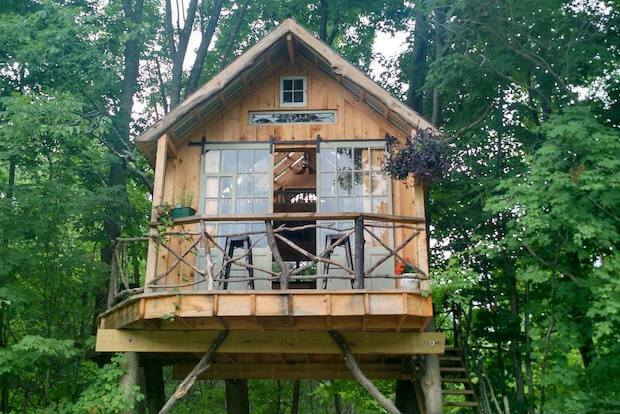 It may be small, but the smart use of space is evident with the use of a loft area for the bed. 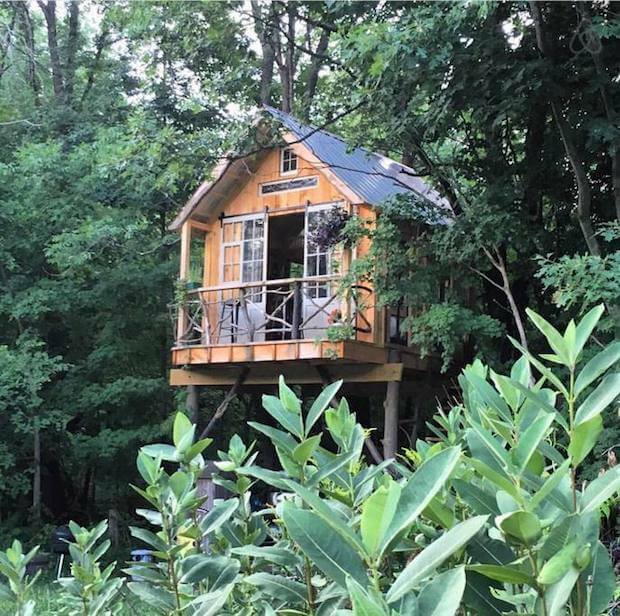 The glass doors and a generous number of windows provide picture-perfect views of the forest landscape; the balcony gives serves as an additional vantage point for guests to better admire the views and even some wandering wildlife. 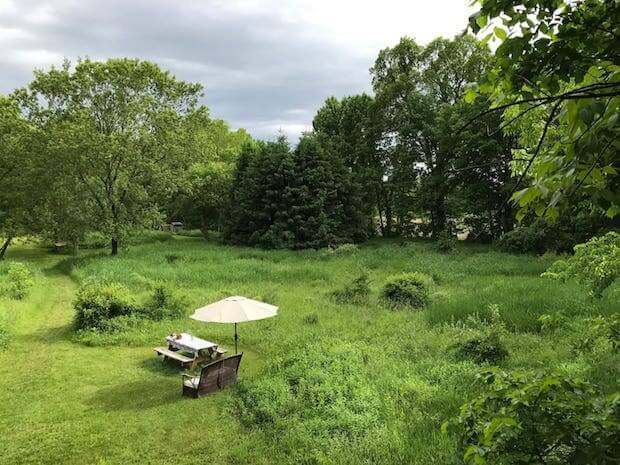 There is even an outdoor picnic area and firepit on the meadow below, so enjoy your time among the trees or have a hearty meal on ground level. 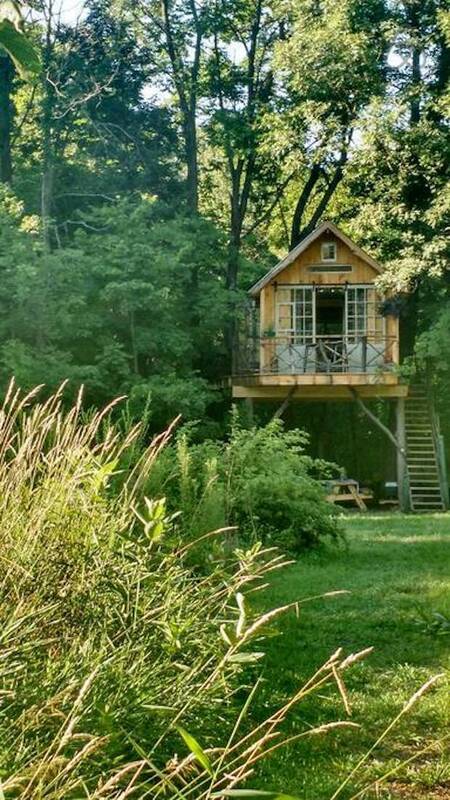 The nightly rate for staying at the Whispering Wind Treehouse is about $189. 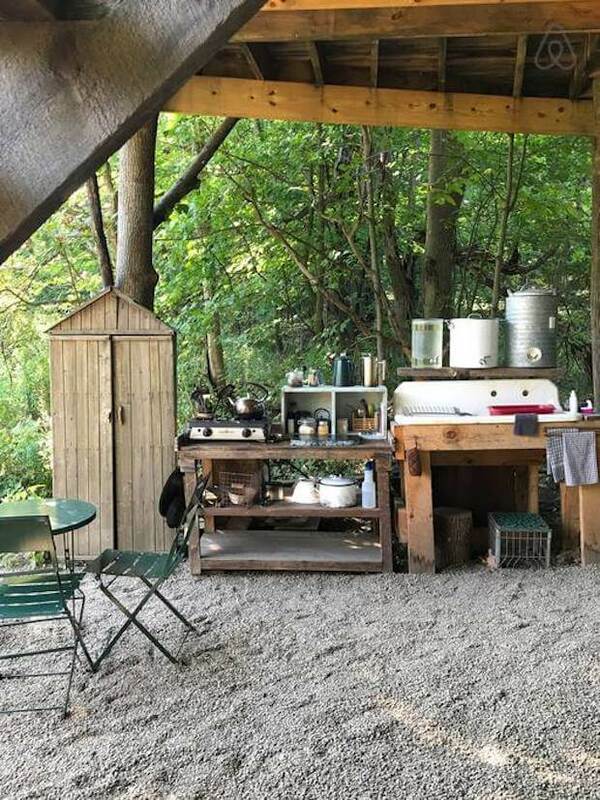 Treehouse is totally off the grid, no electricity, and no Wi-Fi…if you need to connect, you can wander over to my yurt front porch and connect. Also, I can plug your phone in if needed as well! 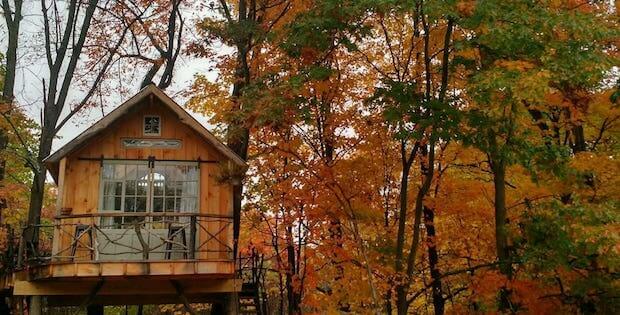 (During the cooler months, there is a propane gas heater for your source of heat.